Josh Trank couldn’t have imagined how many massive gigs his debut film Chronicle would get him. He’s currently hard at work on 20th Century Fox’s Fantastic Four reboot. And now we’re learning that he’s the next director taking a trip to a galaxy far, far away. Trank will helm one of the standalone Star Wars movies that are on the docket for LucasFilm and Disney. These pictures will exist "beyond the core Saga," which is in the hands of J.J. Abrams at the moment. The magic of the Star Wars Universe defined my entire childhood. The opportunity to expand on that experience for future generations is the most incredible dream of all time." We are reaching a very interesting point where we know the NAMES of the voices who will lead the charge on separate Star Wars movies, but we don’t yet know what stories they will be telling. After delivering a hit Godzilla movie, Monsters helmer Gareth Edwards was tapped to take over a standalone Star Wars movie. Now we have Josh Trank adding one to his busy schedule. LucasFilm and Disney are doing a terrific job of filling its stable with fresh, innovative and strong storytellers. And they appear to be giving them time to map out the universes that they want to explore, as the standalone Star Wars movies reportedly will start arriving in theaters after J.J. Abrams delivers Star Wars: Episode VII in December 2015. So, are we interested in speculating? The character names that have been tossed around as possible candidates for standalone Star Wars movies were Han Solo and Boba Fett. There was a rumor that one of the movies might focus on the Red Squadron X-Wing fighters. Of the three (and again, those are speculations), a Han Solo movie might be right in Josh Trank’s wheelhouse. Even as he toils away on the Fantastic Four movie, his cast is emphasizing that it’s small, character-driven and "grounded," and Boba Fett doesn’t fit that bill. But we are guessing. 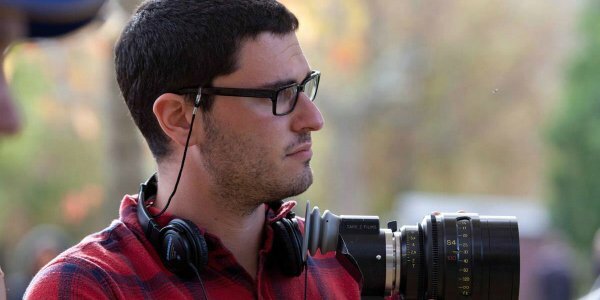 We know for sure that Josh Trank has been welcome into the Star Wars fold, and now he can start mapping out his story. I guess this means that Trank’s name is off of the already announced Fantastic Four 2, which has been penciled in for July 14, 2017. Without question, he’ll be knee-deep in Star Wars prep at that point. Who will he be shepherding? We’ll continue to track.